Wife, mother, author. My mission: To survive the writing, the querying, and hopefully, the publishing. No. 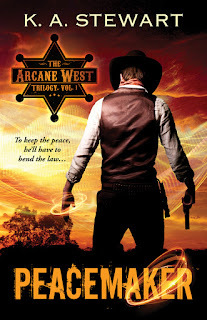 Peacemaker is the same book that was published by Intermix back in 2014. However, it was only published in ebook format at that time, and so the print version is a new beastie. If this isn’t really new, why should I buy it? If you haven’t read it yet, then duh, buy it. If you HAVE read it in ebook, technically, there’s no reason for you to buy it again. However, if you want a print copy, this is your first shot at that. AND… There is a small teaser at the end of it, the first chapter of the sequel. So that at least is new material. Where can I get the print version? You will be able to order through Amazon, as always, and as part of my newest endeavor, your local bookstores can also order copies in. (Not just a copy for you personally, but ones to have on the shelf!) Please please PLEASE make sure that your local bookstore knows about it. I am one person, I do not have a huge publicity department, and that’s where I rely on you! I’m working on this. Not only for Peacemaker, but for all of my Pirate Ninja Press books. Ideally, I’d like to partner up with one of the local indie stores here in KC to be able to provide that service, but it’s a work in progress. HOWEVER… Because my books are now “order-able” for bookstores, this also means that I COULD do signings again, in bookstores. I haven’t arranged anything like that, because frankly I’m scared to death to approach these people and have them laugh at me. But give me time. I want you to come sign books at MY store, how do we make this happen? If you have a connection at your local bookstore, by all means, mention it to them and have them reach out to me if they would be willing to host a signing. (kari.stewart21@gmail.com) My travel budget isn’t huge right now, but I am totally willing to see what I can do. If you have any other questions, feel free to leave them in a comment at the bottom of this post, or even email me if you like. Hate mail & sexual harassment will be graded and ridiculed publicly. All four of my self-published books are now available on Ingram. This means that your local bookstores & libraries should be able to order them with no problem. However, this means that YOU have to go ask them to! Also, Peacemaker’s official re-release will be on November 1st, but it should be available for pre-order well before then. I’ll keep you posted on that one! I’ve seen the rough draft of the cover art, and it is swoon-worthy. 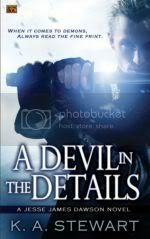 It makes me really want to write the other two books in that trilogy, just so I can see what covers the amazing Robin Ludwig comes up with. And speaking of writing. Now that I seem to have the administrative portion of self-pubbing caught up for the moment, I really need to get back to writing. JJD6 is on my agenda, as is AW2 (the Peacemaker sequel). And at some point, I should really write something new to get to my long-suffering-but-amazing agent. I’ve dabbled all summer, but nothing has really taken hold of me. Hoping I can turn this latest rush of book energy into writing energy. 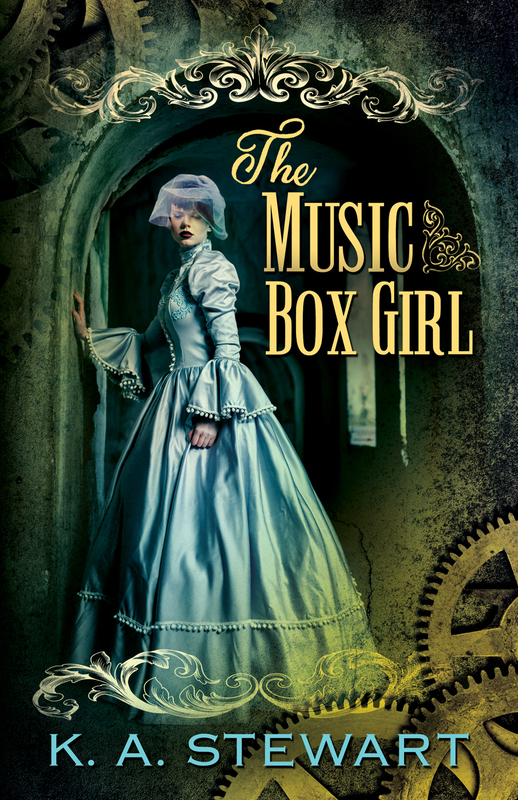 Most of you (I hope) saw me announce that The Music Box Girl is now available through Ingram. And you may be thinking "But MBG has been out for a while, what does this mean?" The very short answer, for most of you, is nothing. For the longer answer, read on. Ingram is a part of publishing that is largely invisible to the average reader. They are a book distributor & printer. When you buy a book at a B&N or indie store, it most likely got there via Ingram. You may say "but wasn't Createspace already printing and distributing your books?" Yes! Good question. The difference is that Ingram is the supplier that most bookstores and libraries order from. See, Amazon (Createspace) is a direct competitor of other bookstores, so they don't want to order from someone who is actively trying to put them out of business. There are other things that also make Ingram preferable, involving wholesale ordering prices and the ability to return books that don't sell, but that's probably a bigger topic than I intend to cover in this Cliff's Notes version. So, back to the question. What does this mean? It means that MBG can now appear on library and bookstore shelves. It means that someone could be browsing a bookstore and pick up my book and think "Hey, this looks cool." And just like that, I could have a new fan. It also means that I can do in-store book signings much easier, since the stores can actually order books to have on hand. My hope is that we (my family and I) will be able to travel more in the next few years and get to places where folk might want to see me. "That's fantastic! How can I help?" I'm so glad you asked! The thing that will do the most good is to tell people. Ask your local indie store to order copies in. Request the book from your local libraries. Let them know that Second Olympus and the JJD books will be coming soon in the same format. Get the word out, folks! Help me, Obi-Wan. You're my only hope. 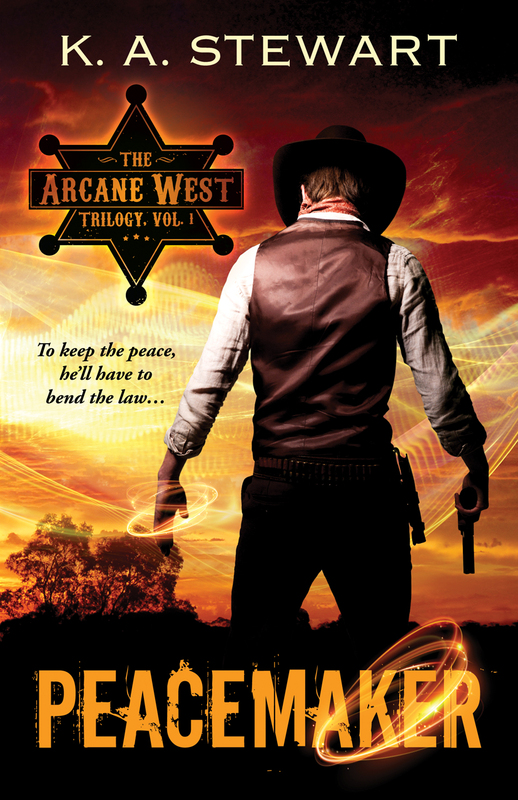 Also remember that, before the year is out, Peacemaker will be re-released, in print for the very first time. This too will go through Ingram as well as my other channels. Tell the world! I’m sitting here on my lunch at the Real Job™, making notes about JJD6. Just notes. No actual writing yet, because if I start writing it, then I have to finish writing it at some point in the future. And then it’s over. I mean, I always knew it would be over someday. Jesse’s story has been plotted out, beginning to end, since the first day. I’ve known since May 20th, 2007 how this would go. That’s a really long time, when you stop to look at it. For nine years, I’ve had this guy living in my head. I feel like I know him just as well as I know any real person in my life. Maybe better. How do I say goodbye to that? I have to, of course. The story ends, like I always knew it would. I wonder, three years from now, five years from now, will I think “I wonder what Jesse is up to now?” and be tempted to write about him again? Right now, I have no plans to. The only thing worse than a story ending is a story dragging out long past its natural life. No zombie stories here, thank you very much! Jesse’s been good to me. Better than I have been to him, that’s for sure. I have dreams that in some alternate universe, Jesse probably hates my guts for all that I’ve put him through. But he’s soldiered on, coming out on top against long odds again and again. All I have to do is start typing the words. Some of them will be a surprise to me, because even though I know how it goes, I don’t know how it gets there. Some of them have been floating around in the dark spaces of my brain for nine years. Once I put them down on paper (on computer screen), they’re out. There will be a hole in my cranium where they used to be. There will be a hole where Jesse used to be. So I make notes, for now. Because I’m not ready to write it just yet. What is it, you ask? It is the “Self-Published Fantasy Blog-Off”! Last year, organized by author/blogger Mark Lawrence, 10 brave bloggers took on the responsibility of reading and reviewing 273 self-published fantasy novels, with the ultimate goal of choosing one ring to rule them all. Er…one winner. You can read all about last year’s competition here! It was such a huge hit that they’ve decided to do it again, and guess what, I’m participating! 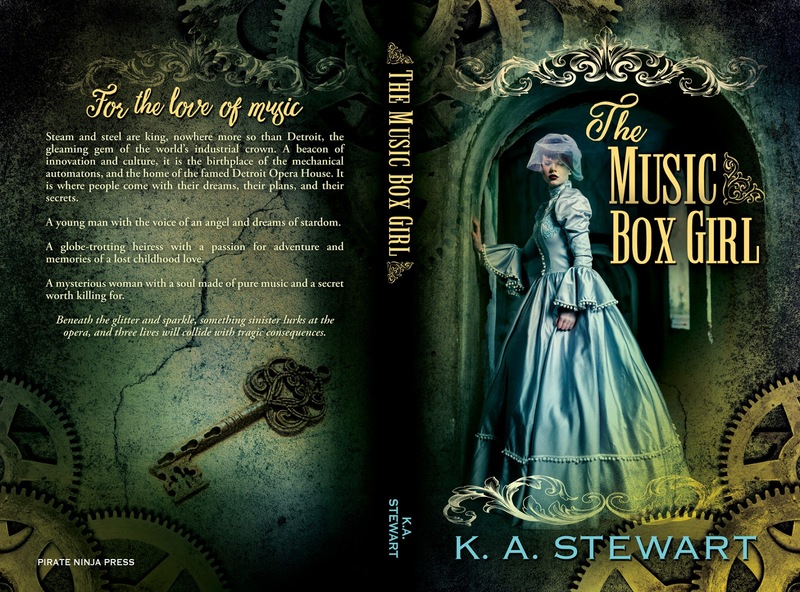 I’ve submitted The Music Box Girl, one of 300 entries into this year’s contest. (that’s right, 300 entries. They had to cap the submissions because it was so popular). Now, we (the authors) don’t win anything, other than some good word of mouth, but I’m really mostly excited about learning about OTHER people’s books. My new favorite might be in there, and I don’t even know it yet! My book got slotted into the group to be read by The Qwillery, and if you didn’t already know about them, you should totally check them out. They do really good book reviews, as well as fascinating interviews, and I’ve found quite a few new reads through them. 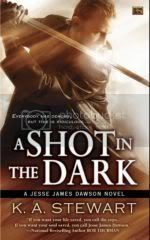 If you want to see a list of all of the submitted books, as well as the bloggers who have taken on the herculean task of wading through 30 books a piece, you can visit Mark Lawrence’s blog post about the contest. He keeps a running list of posts there as the bloggers talk about their assigned books. He has also started another post where each blogger picks their three favorite covers, and it will be updated as they all respond. SO, if you see the hashtag #SPFBO, that’s what I’m talking about, and I’m hoping to be able to read a few of the submitted titles as well over the course of the summer. 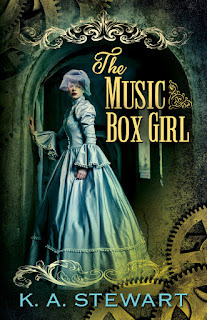 Who is The Music Box Girl? 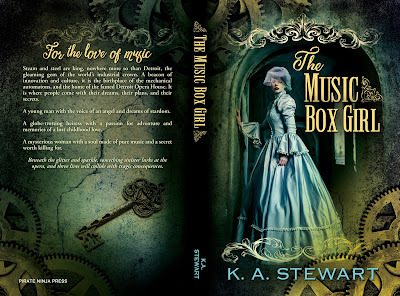 The print copy will be released approximately a week prior to the ebook release (which is April 26th), so that everyone can be reading it on release day! I had an aspiring young writer email me with a few questions the other day, and after I got done answering him, it occurred to me that the questions were really good, and that others might find the answers interesting. So here they are, posted for your perusal, with his permission. I'm wanting to be a writer, and I have some questions. How did college help you become a writer? When did you know you wanted to be a writer? What did you do early on that helped you? Is there any specific advice you have for me? What are some benefits and drawbacks to being a writer? You’ve asked some really great questions, but I’m going to kind of answer them out of order. First off, a lot of my earliest memories were of wanting to be a writer. When I was really young, I’d write stories set in my favorite worlds (books or comic books that other people had written). That’s called fan fiction now, but I didn’t know the word back then. I just knew I was having fun. I didn’t really start trying to create my own worlds until I was probably your age (12-13), and trust me when I say that those were really REALLY bad. But I got better. When I got to college, I chose to major in English with an emphasis in Literature (instead of an emphasis in Writing). I did that on purpose, because it helped me learn HOW to read. It taught me about story structure, and literary devices. I learned about voice and style, and I learned all the rules and when/how to best break them. There’s a lot more that goes into telling a story than just the words you use. The best thing you can do as writer is read. Read everything, in many different genres and many different styles. Make mental notes about the things that other writers do that you like, and don’t like. Note the things that you think they did well, the parts of the book that made you gasp or tear up, and note which things made you want to throw the book across the room. Think about, if I had been the one to have this idea, how would I have done it better, or different? The benefits of being a writer vary according to what you want to get out of it. If you want to make a lot of money, being a writer might not be the best course of action. There are exceptions of course (Stephenie Meyer, J.K. Rowling), but most of us don’t make a huge amount of money. If you just enjoy exploring different worlds and sharing those with other people, then it’s totally the thing for you. Some people write, just because they like writing, and they never have any intention of showing it to other people. Some people like writing and letting other people read, but they don’t care about money, so they just post their work online for free. And of course, there are people who write solely with an eye toward publication. There are many different roads to Oz, and only you can decide what Oz is for you. I know that even if I never published another book in my life, I would still write. There are people and worlds in my head that need out, ‘cause it gets crowded up there. Being a writer also teaches you about follow-through and commitment. I’ve heard a lot of people who say they are writers, but they’ve been working on the same project for like ten years and never actually finish it. You have to finish stuff. You have to slog through the hard parts, whizz through the easy parts, and find an ending. Even if you never touch it again after that moment, just finishing something is an accomplishment. 1) We have a saying in my writing group: “I am allowed to write utter poo.” The first thing you put down on paper is NEVER going to be perfect. It’s actually probably going to be pretty bad. And I say that about every writer ever, no matter how long they’ve been writing. But the great thing about having it on paper is that it’s THERE, and you can always edit. The only thing you can’t edit is a blank page. Editing is one of my favorite parts of the writing process, because I get to go back through and polish it up to be as awesome as it is in my brain. Sometimes, when I’m writing the first draft, I have to rush to get it down so fast that it’s not exactly right yet, but I know as long as it’s there, I can always go back and make it better. 2) Grow a thick skin. If you want to put your writing out for other people to see, you have to be able to take criticism. Now, there are people who will read your stuff and just be mean because they’re jerks. And those people you can cheerfully ignore. But for the most part, especially if you can find other writers to communicate with, they’re just trying to help you make things better. And also realize that not everybody likes everything. It doesn’t mean that you’re a bad writer, it just means you didn’t click with that particular reader. 3) The two most useful questions you will ever ask yourself as a writer are “Why?” and “What if?” Every story I have ever written has started with a “what if” kind of question. That’s where ideas come from. You start with what if. “What if fire fighters had super powers?” Then you flesh it out with “Why?” Why would firefighters NEED super powers? What happened in this world that makes it a necessity? How did the world get that way? What other effects would it have? And suddenly, you’ve built an entirely new world with its own people and rules and you’re writing a story. I hope you all find these questions as interesting as I did. I actually had a good time really thinking about the responses.